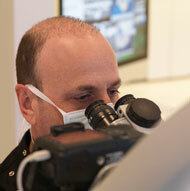 Dr Figdor provides a wide range of referral based endodontic services. 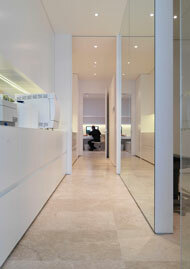 Our approach to clinical endodontic practice is patient focused, evidence based and conservative in application. Every step, from examination to endodontic treatment and apical microsurgery is carried out with the operating microscope, which provides outstanding magnification and illumination. We are equipped with advanced technology to accomplish our diagnostic and endodontic treatment goals. Specifically, we utilise surgical operating microscopes (with digital image capture), in-house 3D Cone Beam CT, non-surgical and micro-surgical ultrasonics, digital radiography, MTA and Rotary NiTi instrumentation. If you would like to refer a patient, please contact us on 03 9822 1130. For your convenience, download a referral form here or call for a Referral Kit. We are passionate about professional development and offer continuing education courses with limited participant numbers for an optimal learning environment. Further information about the Prime CE Program is available here.